Top Gear Season 24 Episode 1 Review! I, along with many of you I’m sure, wept when Clarkson, Hammond, and May decided to call it a day at the BBC. Technically Hammond was fired, and the other decided to leave, but we all know the story. I remember watching Clarkson on the old Top Gear, and the trio felt like old personal friends of mine, the passing of which was met with much sorrow. So when I learned that Top Gear was coming back, with none other than YouTube sensation Chris Harris, I was excited, very very excited. Unfortunately, the combination of Chris Harris, Matt LeBlanc and Rory Reid, oh yes and Chris Evans, along with a few others, did not make for exciting viewing. To be fair, the segments with Chris Harris were excellent, Rory was very entertaining to watch, and Matt LeBlanc had this authenticity about him which was refreshing. But Evans? God no. Evans was blatantly fake, and trying to copy Clarkson, and the show seemed to be more like “Chris Evans and a bunch of others”, rather than a cohesive team. And there were too many presenters, once you threw in Sabeen and that guy with the beard into the mix. There were multiple episodes I simply had to fast-forward through, such was the pain of watching them. I’m all for trying new things, but the BBC strayed too far from the format, the whole dirt road thing was a mess, and Chris Harris was not given enough air time. Unsurprisingly, Chris Evans left the show, leaving much doubt as to the future of Top Gear. But now, we are back, with Season 24, and a line-up consisting of LeBlanc, Harris, and Reid. And I’m delighted to say that episode 1 was truly a fantastic piece of television. We begin with Harris reviewing the Ferrari FXX-K, which is basically another Ferrari with a bunch of letters as a name, which you can’t buy and can’t drive, but which, predictably, are all sold out. Harris is easily one of the greatest motoring journalists and personalities today , and he exudes the charm of a child who simply loves cars. He steers pretty well too! What I loved most is that Harris on Top Gear is basically the same as Harris on YouTube, but with a bigger budget. It’s like the BBC said “just do your thing, here are some drones and expensive cameras for you”. James McAvoy, AKA young Professor Charles Xavier, was the star in a reasonably priced car, and thankfully, we’re back to the old Top Gear track, but now with a new car – the much loved Toyota 86. I’m not too sure about this decision. What made the segment fun was the utter hopelessness of the original car, and trying to drive it fast. The 86 is a fairly capable car, and driving it fast requires skill, being RWD, so to me that takes some of the fun away. However, it should make for some excellent crashes and scary moments. Oh yes, Chris Harris is now the instructor, and watching him teach someone how to drive is simply hilarious! The main “adventure” of the episode involved the three travelling to Kazakhstan, Borat’s hometown, and then setting of to drive across the country in cars that had done the equivalent distance of the moon and back. I was expecting someone to have a Mercedes W124 E-Class, as that’s what I would have chosen, as they are basically bulletproof – I wasn’t far off, as LeBlanc chose a W210 E-Class. Harris chose a Volvo V70, and in what I thought was a stroke of genius, Reid chose a black London cab. 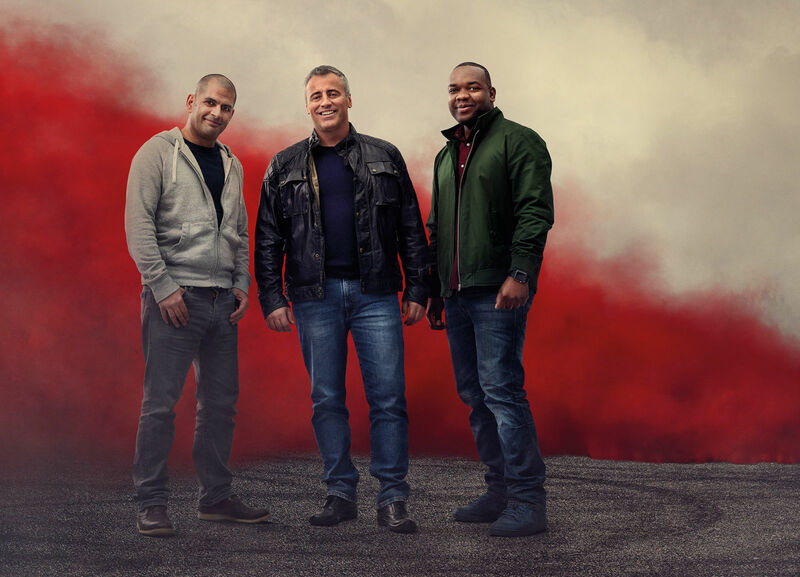 I won’t go too much into the segment, but it was your standard Top Gear fare – a series of challenges with a winner. Needless to say it was genuinely entertaining. The chemistry between the three presenters is quite interesting. You can tell each is playing a certain archetype, and some of the jokes are quite obviously scripted, and didn’t always work, and some of the acting a tad poor. However, the early day of Clarkson, Hammond, and May, were similar too, and it took years until the interactions were seamless, and you couldn’t pick the scripted from the unscripted parts. What this means though, is that as time goes by, the show will get better, and the presenters’ delivery more natural. I’m excited for the future. Top Gear will continue to get better, and along with the Grand Tour, it means we now have two quality shows to watch every week. Top Gear is back baby!